This year my hubby and I will be attending our first ever MUSIC FESTIVAL and we cannot wait!! In fact, I am so excited for this festival that I decide to run a month long series on my blog all about the music festival scene. 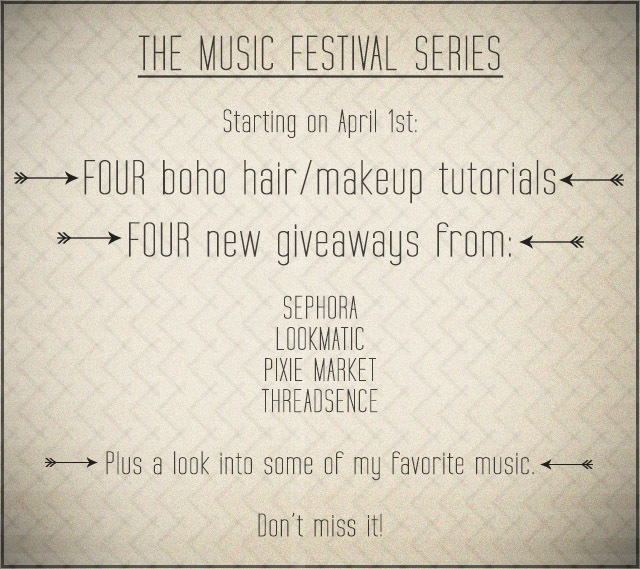 Introducing the Music Festival Series! Be sure to check back on April 1st to see the first tutorial/giveaway!